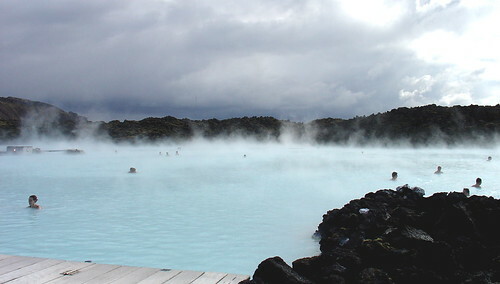 Blue lagoon, originally uploaded by Thomas Loudon. What happens to someone who lives to travel and has not been able to for almost two months. I know that doesn't seem like a lot of time to most people. And even to me i am usually fine staying in one place for at least 4 or at most 5 months. But this time since i am not working all that much, my head starts to play wishing well for desired locations. I have been able to keep cool with tricks i play on myself. Like when i go to the beaches up in Malibu, i will swim for hours pretending to be in some far away place. Another Trick (and this one ends up hurting more then helping), I will pick a place, This month it is Iceland, and i will begin to obsess on it. I Have figured the perfect trip out for my self. But Dreams are Dreams and i didn't find a bag of money, nor did i get a sponsor to pay for my excursions. So Los Angeles will have to do for a little while longer. At least until reality gets back to putting duckets in these hear pockets.